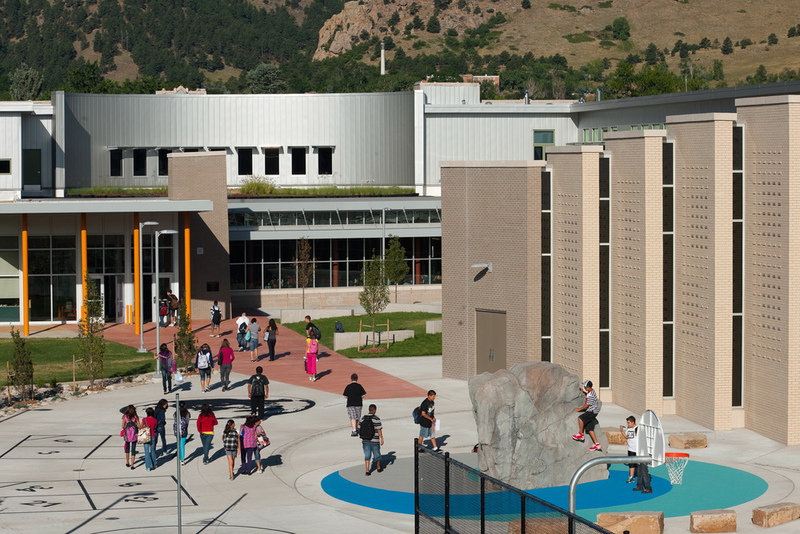 BVSD Boulder USGBC LEED Platinum certified green build and historic preservation building in Colorado with sustainable green roof and water efficient landscape and irrigation. Low water planting material and a community garden space. 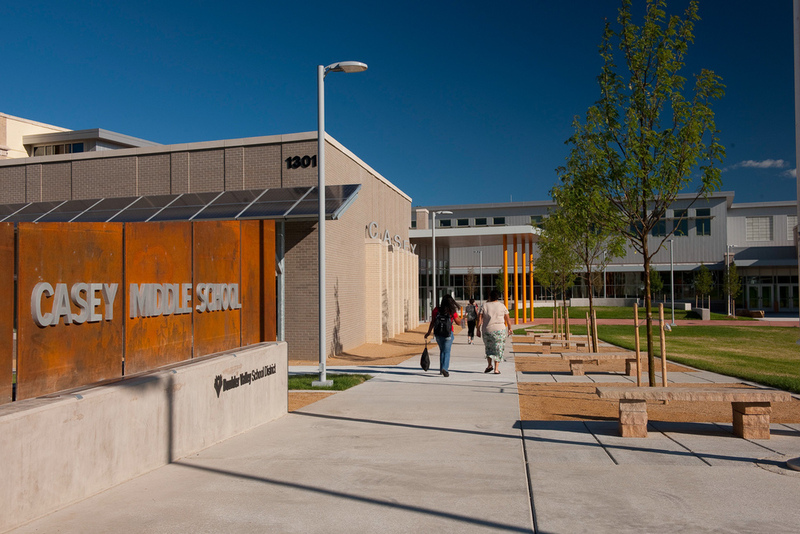 Downtown Boulder’s Casey Middle School serves 6th through 8th graders with a focused curriculum of science, math, geography, literuate, and Spanish. The new building is certified LEED Platinum and was designed with eco-friendly practices like a green roof and a water efficient landscape. 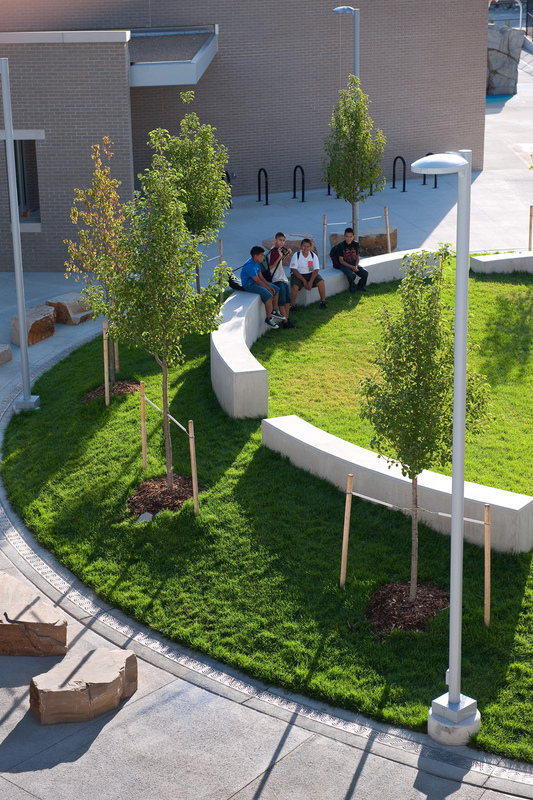 Sustainability, nature, and education are incorporated into our landscape design, especially in the playground area.. There are several curriculum-themed areas. The playground is centered by a series of nature-themed quotations by Henry David Thoreau, Frank Lloyd Wright, John Muir, and Claude Monet. It also a latitude transect of Earth at 40-degrees latitude to correspond with the school’s location. Students can follow markers to discover other cities and places the latitude passes through, including Philadelphia and Sardinia, Italy. Several aspects support a sustainable landscape. 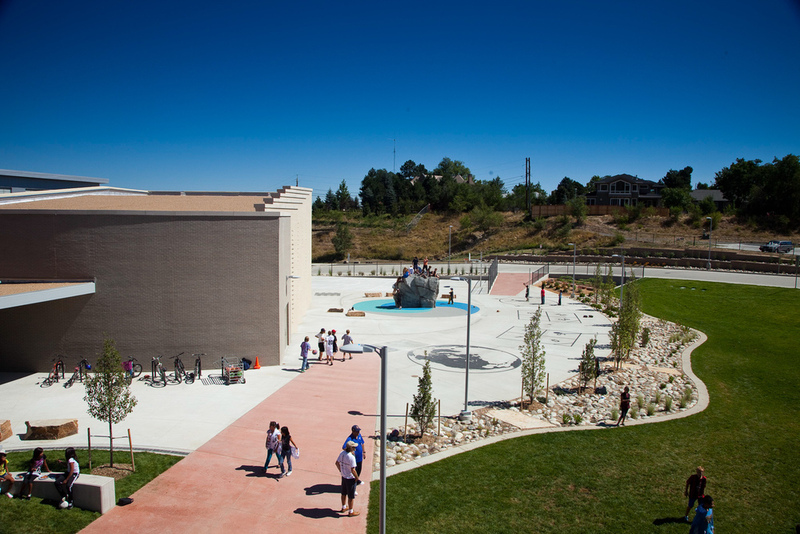 Native planting surrounds the building, reducing water consumption and providing shade, a bioswale between play courts and sod play area allows water to filtrate into the ground, and light-colored concrete reduces heat. A synthetic turf field also reduces water usage and maintenance costs. 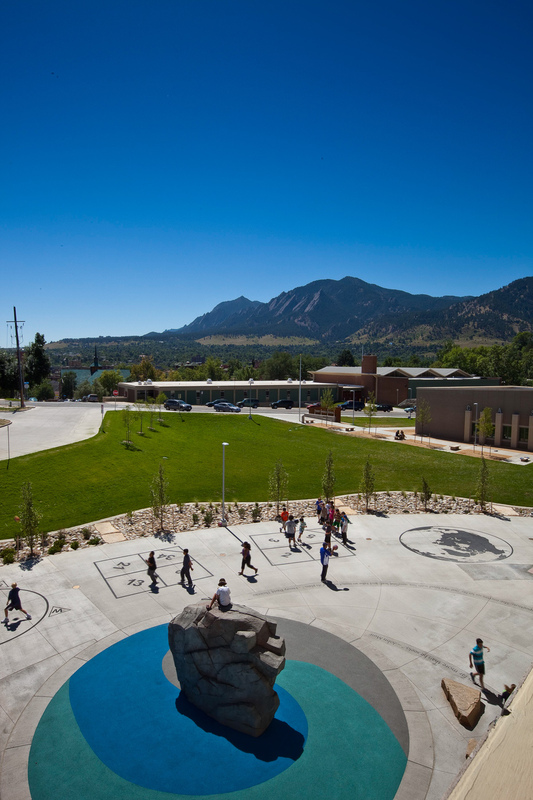 Many existing school funded site elements were re-used, including memorial boulders, flagstone seats, a climbing boulder, and chessboard pavers. Students, teachers, and nearby residents can even grow their own food in the community garden. .